The end of another year of gaming always brings many things: teary-eyed memories of all the games you sunk countless hours into, teary-eyed realizations of the money you spent on said games, and most of all, the chance to reflect on the titles that stuck with you throughout the year. As December comes on the horizon, along with the end of 2013 imminent, the final weeks of the year inevitably bring the beginnings of “Game of The Year” talk. Gaming sites and journalists wax fondly on the games that resonated with them throughout the dozens of titles played throughout the year, and top ten lists pop up faster than those tempting deals during a Steam Holiday Flash Sale. With hundreds of titles released each year, and in an especially prominent gaming year like 2013 as we saw the end of a landmark console generation with the beginning of a new one, how do you possibly go about picking your favorite Game(s) of The Year? In the latest edition of our DualShockers Guide, we’ll take you through a few questions that you might want to ask yourself as you consider what games made your 2013 an especially excellent one for gaming, and how to make the perfect “Game of The Year” picks. What Games Made Me Think? When 2013 is to be looked back on, it will be easy to remember as a year that had games putting storytelling right at the very center of things. As games have grown technically and artistically, so too have their capabilities for crafting engaging, thoughtful stories that both rival other forms (novels, TV, film), but often given the chance to show how games can present stories incredibly difficult to tell in any other medium. 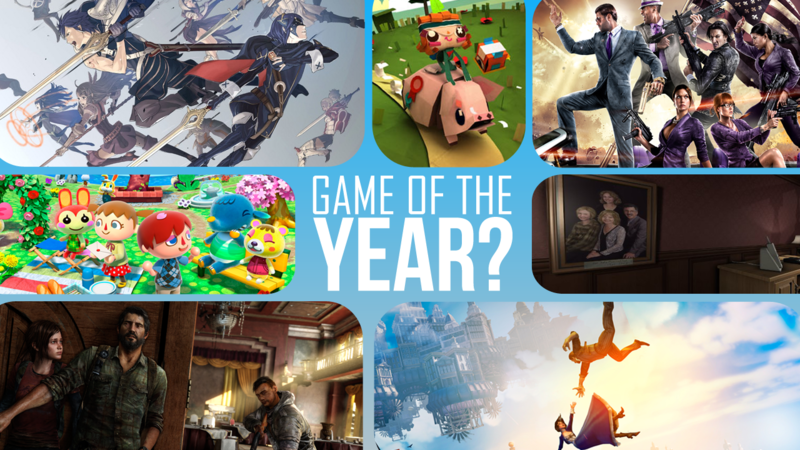 So, when picking your Game of The Year, what games made you think? While in past years there have been plenty of titles to choose from, 2013 is an especially difficult year to pick just one, or even a few games due to just how many carried incredibly diverse stories that were just waiting to be told. Whether it was from the perspective of exploring post-apocalyptic America, to soaring the skies of an untouched utopia, to riding through the seedy sections of Los Santos and reconnecting with time away from home, 2013’s crop of games told stories both epic in scope and poignantly-intimate: how can you pick just one? 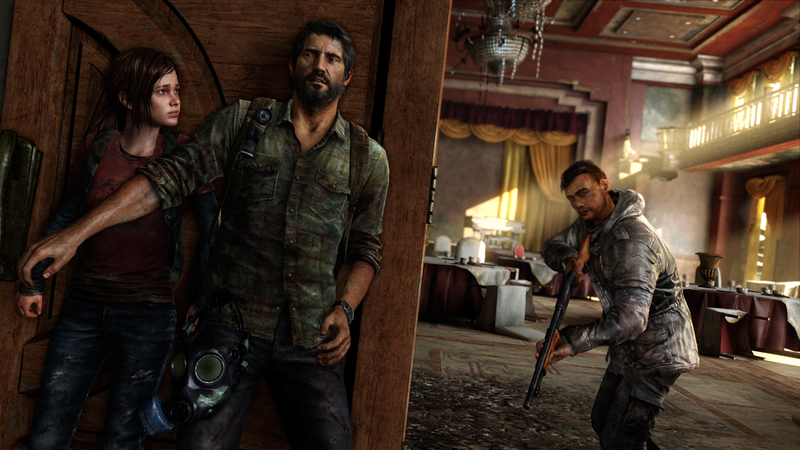 It’s definitely a challenge, but certainly the story and narrative strengths of a game can be an easy consideration for your Game of The Year, whether it was based on the touching relationship of Joel and Ellie in The Last of Us, or in witnessing the early struggles of adventurer-turned-survivor Lara Croft in Tomb Raider. Grand Theft Auto V impressed in its epic scope just as much as it did in its obsessively-detailed recreation of Los Angeles, while BioShock Infinite gave us a unique spin on the BioShock universe and turned our understanding of it on our heads. And most of all, underneath the AAA blockbusters came Gone Home, which quietly broke hearts with its poignant story of teenage romance, family relationships, and the nostalgia of going back home after a long absence away. 2013 was a year filled with games that closed out a generation, but with many of them came well-crafted stories, ideas, and characters that will easily be remembered well after the year ends: perfect candidates to consider when crafting your own Game of The Year picks. What Games Kept Me Playing, and playing, and playing non-stop? An engaging story and great characters can go a long way to make you run through a game and enjoy it right until the credits roll, but what about the games that you just couldn’t put down all year-long? 2013 was filled with plenty of those as well: not surprisingly, many of them coming from handhelds that kept you hooked on a game while on-the-go. In a landmark year for the Nintendo 3DS that brought some of the system’s absolute best games yet, 2013 had us developing our own town from scratch while scrounging up Bells (and constantly checking those Turnip prices on the Stalk Market), becoming Pokemon Masters in a new, fully-realized 3D world, and thinking through our strategies out on the battlefields of Archanea and Valm. For gamers this year, 2013 was filled with plenty of options for games that boasted (potentially) endless hours of content that could keep you coming back for more. 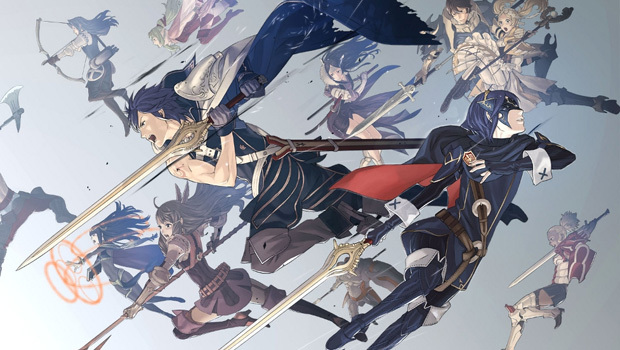 In the beginning of the year, Fire Emblem: Awakening easily did this by starting the 3DS’s year off with a bang. Filled with depth, strategy, and more than its share of challenges, Fire Emblem: Awakening added more fuel to the fire by including new missions and DLC, even featuring the series’ iconic Marth in his own sets of challenges and missions. Of course, Fire Emblem: Awakening would only be the start of the year for some of the addictive games to grace the 3DS in 2013: in particular, its crown can be shared by a group of talking animals and battling Pokemon. 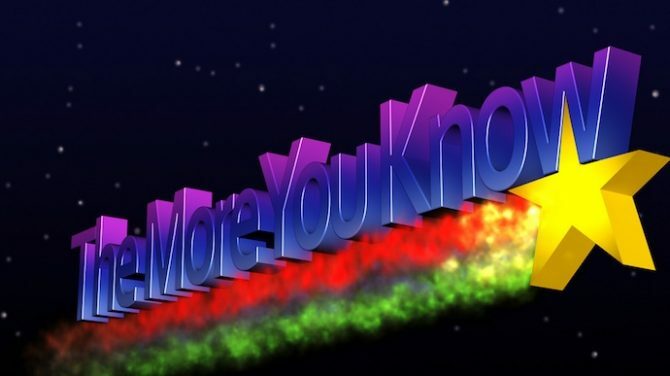 When you have a game like Animal Crossing: New Leaf or Pokemon X & Y, you can potentially buy a 3DS, either of those games, and be set for a good, long while without buying anything else. 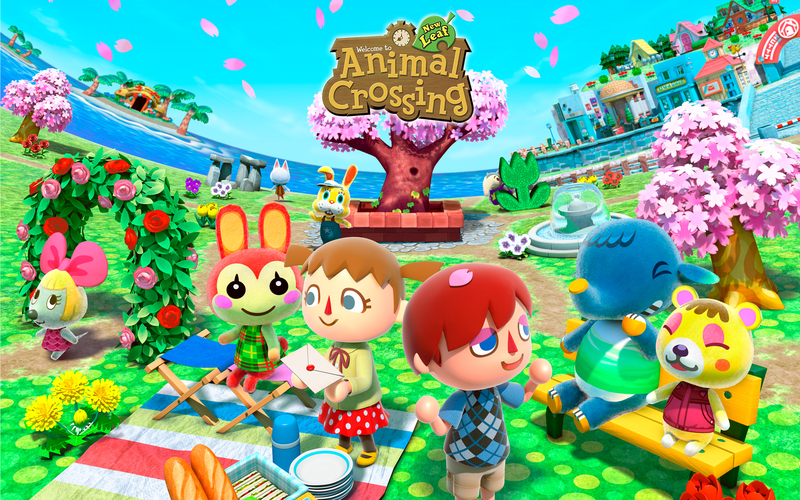 Games like Animal Crossing: New Leaf gave us a title that substituted the epic storytelling of titles like The Last of Us and Grand Theft Auto V for simple, fun experiences that could keep you going all year-round. Filled to the brim with options for developing your town, recruiting new villagers, and nearly limitless possibilities for obtaining new clothing, furniture, and cool items to fill your house with, Animal Crossing: New Leaf could be played for months on end and still offer something new to players each and every day. Likewise, Pokemon X & Y gave the revitalized jumpstart that the Pokemon franchise needed for quite some time now, and delivered on every front. While Pokemon games always can keep you busy for a long while in building your perfect PokeTeam, the latest generation of Pokemon not only refined the series’ longstanding addictive turn-based combat, but also introduced plenty of new elements to make the experience that much better, like the much-praised 3D graphics and its impressive Mega Evolutions. Whether it’s taking a peak back in to see how your village in Animal Crossing: New Leaf is doing, or to continue filling out your rosters in Fire Emblem: Awakening or Pokemon X & Y, remember that your Game of The Year pick can easily be that title that you just couldn’t put down, and won’t stop playing until the sun goes down. What Games Gave Me Something Entirely New? Of course, some of the most memorable experiences that gaming can offer are often the ones that were entirely fresh and new. Take some of 2013’s newest, and most original creations as examples to ask: what games gave me something entirely new? What games were unlike anything that I’ve ever played before? Whether they were inventive new titles produced by AAA publishers or indie gems made by always-innovating indie studios, 2013 brought plenty of games worthy of being declared “Game of The Year” not just for their new gameplay mechanics or ideas, but often for their willingness and dedication to making their experiences something truly unique that hasn’t been done before, or at least not done nearly as well before. 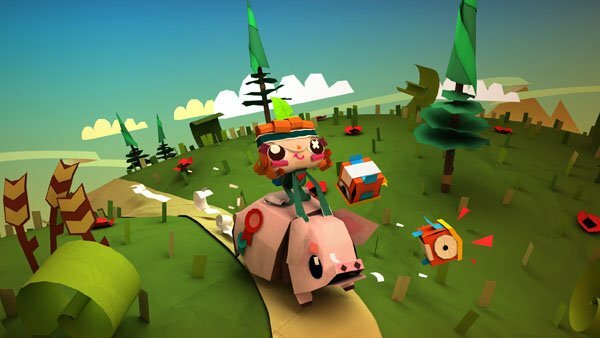 Taking a look at these types of games comes no easier than a quick glance at Tearaway, the recently-released PS Vita-exclusive from Media Molecule that not only delivered a game unique in art, music, and style, but a game that would truly be difficult to pull off on anything other than the Vita. By utilizing the Vita’s rear-touch pad to have you literally poking your fingers into the world, Tearaway combined the charm and energy of its studio’s previous LittleBigPlanet series with a unique set of controls and interaction all its own to make it the premier experience on PlayStation Vita, and one that could really only be played there. Indies this year delivered in full force on the ability to deliver gaming experiences unlike anything else out there, whether 2013 had you approving/denying the passports of foreign immigrants or trudging your way through the oddities of an office life. This year’s Papers, Please and The Stanley Parable both made big waves on Steam for taking bold risks with unconventional game design: beforehand, how could stamping “Approved/Denied” on pieces of paper ever be thought of as “fun”? Papers, Please proved us wrong by making an unorthodox concept intense, heart-wrenching, vile, and hilarious altogether. 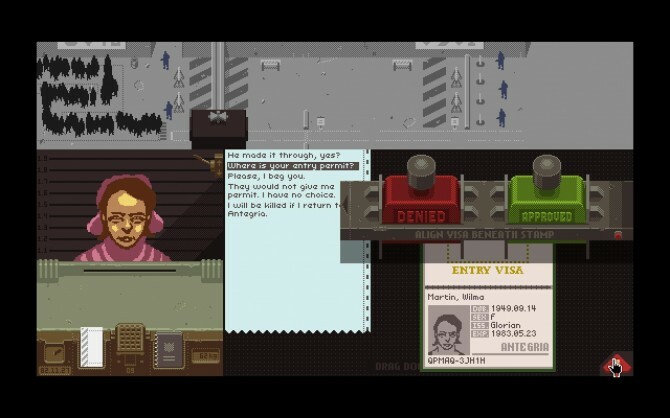 In every passport stamped or denied, the entire game forced the pressure of your own decisions against you, whether that be accidentally letting through a potential terrorist, or suffering at the costs of not being able to provide for your ailing family. Likewise, The Stanley Parable took narrative turns by making player choice and decisions go completely against the perception of what was happening in-game for a title that was unique, funny, and thought-provoking all its own. 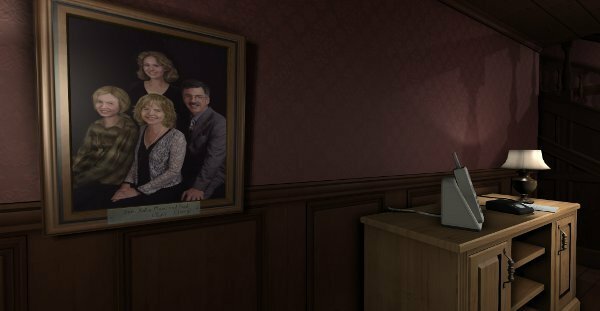 Taking the life of the ordinary office-drone and turning it into an exploration of perception and reality, The Stanley Parable made a romp through office hallways and doors into a mind-bending investigation of who we are, and what we do. While plenty of other titles may have offered more in the way of content instead of these briefer titles, don’t let the risky experimentation and originality of games like Tearaway, Papers, Please, and The Stanley Parable pass you by without considering how these titles (and many others like them) offer something unique and diverse to your “Game of The Year” picks. What Games Were Just Silly, Ridiculous Fun? 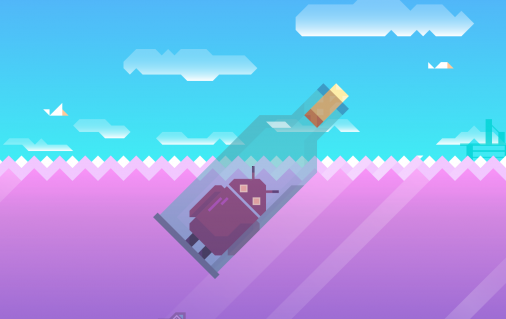 In the previous segments, we’ve seen how 2013’s crop of games were by all means touching, thoughtful, addictive, and innovative: but of course, what about the games that were just plain fun? As the chance for us to escape into worlds where we go fishing with shotguns, dash through medieval worlds to the soundtrack of an epic heavy metal song, or be the president of a world conquered by aliens, 2013 proved that some of the best games of the year were the ones that left the biggest smiles on our faces. 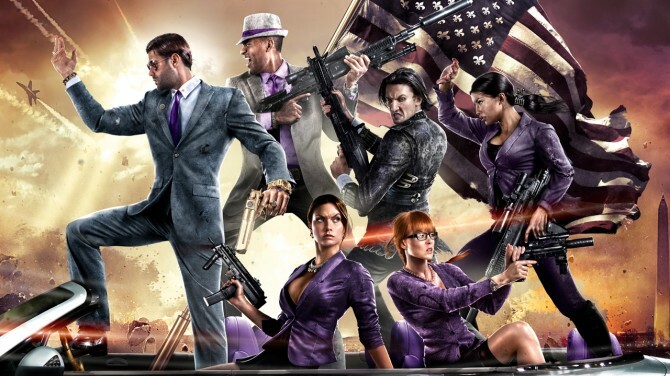 Acting as the balance to the gritty realism and heavy themes of some of this year’s titles, games like Saint’s Row IV gave us the chance to defy all the rules in an open-world packed with aliens, explosions, heavy use of satire, and more than a fair share of stabs at your favorite gaming franchises. Plus, what would be any GOTY list without a nod to one of this year’s most ridiculous weapons yet, the Dubstep Gun? Where Saint’s Row IV offered the chance for players to let loose and use their various crazy weapons (and superpowers, and superhuman abilities) to their advantage, other titles like Super Mario 3D World and Rayman Legends gave similar opportunities: but best of all, gave them with a buddy or two right at your side. Bringing the fun of couch co-op to classic 2D/3D platforming, coming away from Mario and Rayman’s latest adventures without a huge smile on your face is something only the most stone-faced gamers could ever accomplish, giving reason enough for either of those titles to bring consideration to what might be your GOTY pick. Surely you can give the Cat Suit a consideration, can’t you? Likewise, some of the best purely fun experiences from this year don’t have to be relegated to just the consoles, as titles like Ridiculous Fishing and Towerfall made on-the-go, pick-up-and-play simplicity a joy to play at nearly any time. With Towerfall quickly being established as one of the go-to games for the Ouya earlier this year, its simple Smash Bros. like-mechanics of trying to get the edge over your other opponents in arena-styled maps made it addictive and all too easy to go back for “one more round.” In the same way, Ridiculous Fishing made for the perfect commuting companion with its focus on getting higher combos, a string of unlockable weapons and abilities, and more and more ways to make fishing with shotguns and SMGs all the more silly and fun. 2013 may have given us some titles that touched our hearts and made us think, but surely don’t forget about how Rayman Legends, Saint’s Row IV, or Super Mario 3D Land kept you and a friend laughing well into the night when making your GOTY picks. What Games Will You Pick for 2013? Ultimately, there are plenty of reasons that we consider when we’re making our picks for “Game of The Year,” or just in remembering the games that made 2013 so special. Luckily, 2013 was filled with plenty of games, stories, characters, and events that made it an especially great year to be a gamer, making the task of even picking just one game as your favorite of the year an especially difficult task. 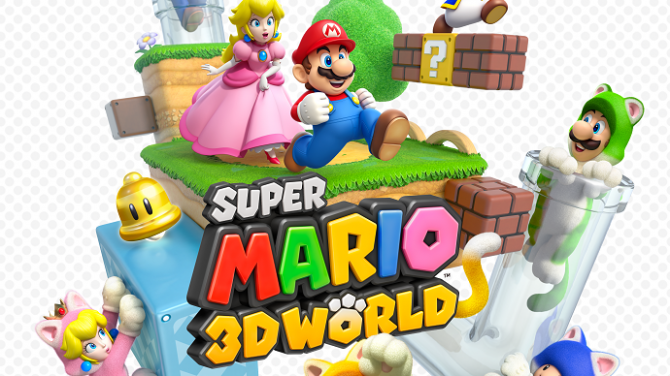 How do you balance the mind-blowing ending of BioShock Infinite versus the frantic, cat-suit filled fun of Super Mario 3D World? How does the heart-wrenching story of The Last of Us compare to the ridiculous thrills of Saints Row IV? Like any other award or end of the year list, “Game of The Year” carries a lot of weight and substance as giving a single title (or multiple titles) the distinction of being the very best of the year. But, as you make your GOTY picks or think about those titles that stood out to most, hopefully some of these questions and examples can make your considerations all that much easier for 2013.